Learn the fundamentals of safe boat handling and operation, and basic piloting in one comprehensive classroom course. As an additional feature, this newly revised course includes a digital chart training CD and instructional material on modern navigation techniques as well. This course meets state specific and National Association of State Boating Law Administrators (NASBLA) requirements for certification. And completion of the course is accepted by most insurance companies. Since 1939, the members of New London Power Squadron have provided the boating course as a service to the boating public to thousands of boaters. Every few years, our programs are updated to keep up with changing marine technology. You will learn the basics of what you need to safely and comfortably go on the water with your boat. 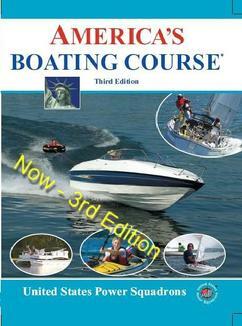 This newly revised comprehensive course includes lessons on seamanship, boat handling, boat types, rules of the road, navigation aids, regulations, adverse conditions, marine VHF radio, knots, trailering and introductory piloting. 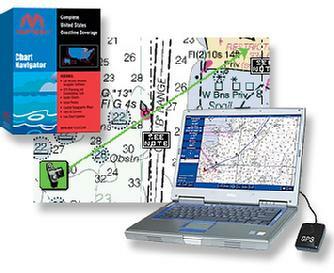 The course includes an extensive course book, training charts, and basic navigation tools. As a special feature it also includes an introduction to digital charting on CD-ROM in an appendix, and an overview of electronic navigation. Maptech's Chart Navigator Training CD includes software and digital charts to gain familiarity with this exciting new technology.